I have attended various events where someone hands me their cocktail blog business card. I gladly accept these cards with great interest. And whenever I visit a new bar, I try to pick up a card on the way out. I knew that at some point I wanted to get business cards for this blog site. Moreover, I knew that I wanted to use Pike Street Press. I had read an article a year or so ago about Pike Street Press and their use of vintage letterpress work for printing. I filed that information away, knowing that I would eventually visit this shop on the Pike Street Hill Climb. Well folks, the time finally arrived. I visited with owner Sean Brown, who helped me realize my design for the cards. 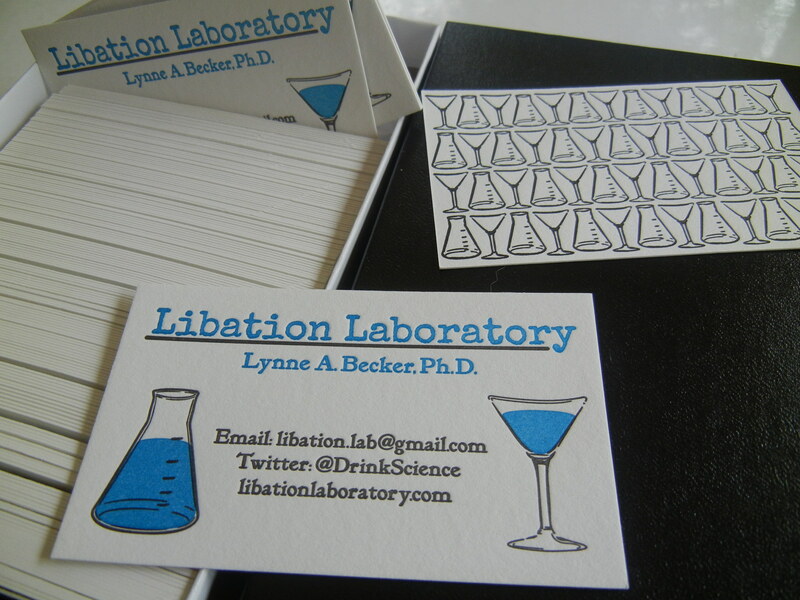 A couple weeks later, I was in visual and tactical nirvana, as I held one of my new Libation Laboratory cards in my little hand. Now, we’re in business.